A prophetic mindset doesn’t merely consider present circumstances but looks into the future to see what shall be. When Isaiah prophesied the birth of JESUS, he did not say, “For unto us a child shall be born.” He said, “For unto us a child IS born.” (Isa.9:6) He spoke in the prophetic perfect tense which declares an action already completed. His prophetic mindset was deep within him and came out of his mouth declaring that what Jehovah intended would, indeed, come to pass (Rom.4:21). The prophet got into agreement with God in spite of present circumstances (Rom.10:16; 2K.6:15-17). Only in agreement with God (the mindset of the One Who stands above it all), and His purposes for the advancing of His Kingdom, is there hope that overcomes the impossibility of the challenges of a generation. All those who are born again of THE Prophet have some degree of THE Prophet in them and so, are prophetic. 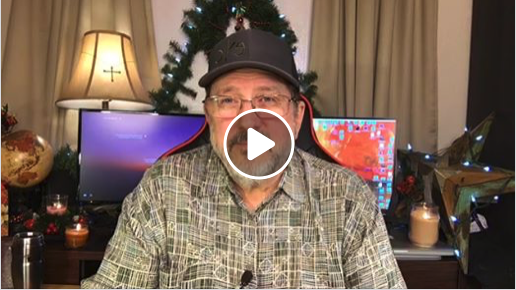 This entry was posted on December 9, 2017 by Marty Gabler. It was filed under Uncategorized and was tagged with 1 Thessalonians 4:17, anticipation, Apostle, Barbara Yoder, Bethel Church, Bible, Bill Johnson, Body of Christ, celebrate, CFNI, charismatic, Chuck Pierce, church, Cindy Jacobs, circumstances, comfort, Daily Discovery, Damon Thompson, destiny, dreams, Dutch Sheets, elderly, encouragement, expectation, faith, father, Five-Fold, FMCI, future, gifts of the Spirit, god speaks, grace, Haggin, happy, healing, Holy Spirit, hope, Identity, intercession, Isaiah 9:6, Isaiah 9:7, Israel, Jentezen Franklin, Jeremiah 29:11, Jesus, Jim Goll, Jim Hodges, John 3:16, John Eckhart, John Kelly, Joseph Prince, Joyce Meyer, Kathy Gabler, Kim Clement, Kingdom of God, Lakewood, Lance Wallnau, life, Lindsey, manifestation, Marty Gabler, Matthew 6:10, Matthew 6:33, Melissa Gabler, Myles Munroe, obstacles, ORU, Osteen, power of god, prayer, problems, prophecy, prophesy, prophet, prophetic, prosperity, purpose, Redding, rejoice, Rick Joyner, Rick Pino, righteousness, Romans 4:21, salvation, Savior, SEEC Ministries, sons of God, spiritual warfare, success, TD Jakes, Texas, Tony Evans, victorious, victory, visions, Will of God, wisdom, word of god.